Russia’s overreaction to the Greenpeace Arctic protest — and their ludicrous waffling on the actual charges – will not work out well for Russia. Their extraordinary response will more likely help the global climate movement meet its goals. Public dissent against abusive authority appears as old as any remembered human history. The Sumerian story of King Gilgamesh begins with public complaints that the king exploited young men for war and young women for his lust, failing in his role as the “people’s shepherd.” In Antiquities, Jewish historian Josephus recounts peasant protests against Roman abuse, governor Pilate sending assassins and how this overreaction incited men, women and children to offer their lives en masse by laying prostrate in the city square. In our era, Gandhi liberated India from colonialism with peaceful resistance; Martin Luther King, Rosa Parks and American freedom marchers overturned a racist culture; Aung San Suu Kyi and Nelson Mandela faced down thugs in Burma and South Africa. In all these cases, exploitative authority overreacted to public protest with police violence, as we have witnessed more recently at Gezi Park in Istanbul, Ramses Square in Cairo and this October in New Brunswick, where Canadian police sent snipers, dogs and Taser-wielding officers to break up an Indigenous Mi’kmaq protest against fracking. These cases form the historic context of Russia’s arrest of 30 journalists, seafarers and Greenpeace International activists, originally charged with piracy, now also being charged with “hooliganism.” These charges appear frivolous since the record shows that the Greenpeace protest was a peaceful demonstration of concern, staged for the benefit of every human and every other species on Earth. The Greenpeace team — now known around the world as the “Arctic 30” — devoted their time and talents to Greenpeace to help warn Russia’s Gazprom and other world oil companies that their planned plunder of Arctic hydrocarbons threatens the planet’s climate. This, of course, is neither piracy nor hooliganism nor any other crime. Historically, overreaction by authorities — violence, arrests, jail — galvanises social movements, empowers individuals and strengthens organizations. When the French government detonated a bomb under the Greenpeace ship Rainbow Warrior in 1985, killing photographer Fernando Pereira, Greenpeace received a wave of global support, while France inherited a murder on its record and a stain on its historic reputation. Since Greenpeace was founded in Canada in 1971, conscientious, skilled people have stepped forward to defend Earth’s ecological health, standing up for the whales, the forests, the atmosphere and oceans. Greenpeace has attracted navy veterans, fishers, farmers, scientists, journalists, lawyers and now webmasters and videographers. “Whenever we do something to protect our planet, it is never for personal gain or wealth or stardom,” said Canadian seaman Paul Ruzycki from his jail in Russia. “On the contrary, we have nothing personal to gain, but everything personal to lose including our freedom, family and friends.” Ruzycki comes from a seafaring family. He is a skilled blacksmith, welder, artist and fiddler. He has spoken out against overfishing, reckless logging, nuclear testing and the slaughter of whales. He is typical of the global citizens who comprise the Arctic 30. Families of the Arctic 30 have become active in their home countries. In Italy, the mother of crewmember Cristian D’Alessandro has gathered over 100,000 signatures on a petition to free her son. The family of the British freelance journalist Kieron Bryan has set up a website to tell their son’s story and gain his release. In Moscow, the wife of Russian freelance photographer Denis Sinyakov has picketed the government with her husband’s journalist colleagues. “I have been in prison for 22 days for a crime I did not commit,” British digital media specialist Alexandra Harris told the court in Russia. “I have not seen any document showing my involvement in such a crime. 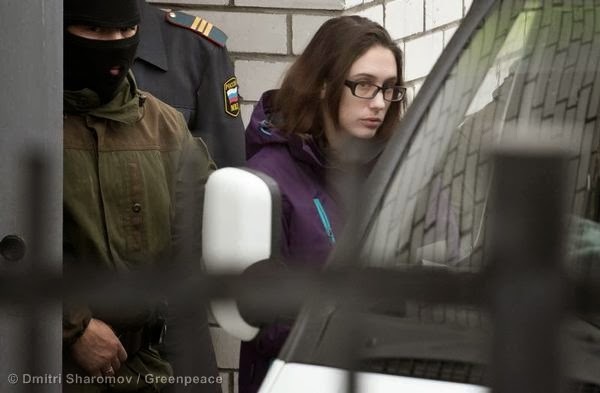 The only thing that happened was peaceful protest and I believe the video evidence and Greenpeace’s long history will prove this.” Alexandra’s parents have asked the UK government to help secure their daughter’s release. Russia has received letters from Desmond Tutu, ten other Nobel Peace Prize laureates, the Madres de Plaza de Mayo in Argentina, Olympic medalist John Carlos, and Italian actor and playwright Dario Fo. Human Rights Watch, Amnesty International, German Chancellor Angela Merkel, Brazilian President Dilma Rousseff, and former US Secretary of State Hillary Clinton have expressed concern about Russia’s inappropriate persecution of the Arctic 30. Greenpeace supporters have sent 1.5 million emails to Russian consulates and embassies, calling for the Arctic 30’s freedom. Avaaz has collected a million signatures. From around the world, we now hear the cry, “Free the Arctic 30” and “Save the Arctic.” The world has not forgotten why these 30 people contributed their time and skills to Greenpeace and risked their freedom to speak out: Simply to save the Arctic from plunder and to save Earth from climate disaster. They are neither pirates nor hooligans. They are now global heroes and heroines. The longer they remain in jail, the more heroic they become in the eyes of the world. The captain, crew, journalists and activists on board the Arctic Sunrise risked their freedom for all of us. They acted on their conscience and performed the time-honoured role of peaceful social opposition to what they perceive as injustice. 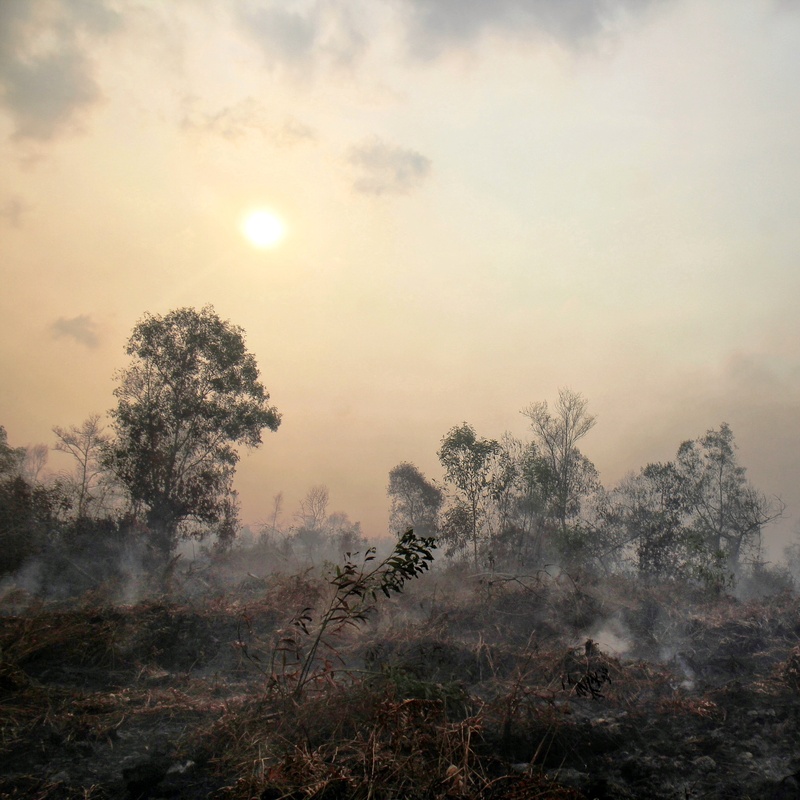 They opened the public discourse about the fate of Earth’s climate. For this, they will experience a freedom that no detention centre can lock away.